If Day 2 was owned by India after a shift of powers from Australia on Day 1, things changed back to the favour of the hosts once again, as far as the play on Day 3 was concerned. 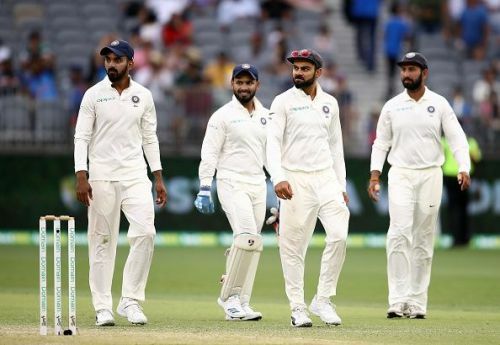 Australia were able to bowl India out for a 43-run lead in the first innings, which they then proceed to extend by another 132 runs for the fall of four wickets, during their second chance to bat. With roughly 180 overs of play remaining across two days, Australia already have 175 runs in their bank with six wickets remaining. They have the best parts of Day 4 to post anything around 300 runs as a stiff target for India to chase. Meanwhile, let us take a look at five main points of discussion from what transpired during the action on Day 3, at the Perth Optus Stadium. Indian skipper Virat Kohli ended Day 2 on 82*, with the steady hands of Ajinkya Rahane on 51* to keep him company from today morning. But the latter couldn't add another run to his overnight score and perished early, but Kohli kept the Indian ship steady. The captain eventually reached the magical mark of three figures, his 25th in the format and sixth in Australia. India's chances were well and alive as long as Kohli batted, and fans really did not even seem to mind the likes of Rahane or Vihari departing after short stints today. 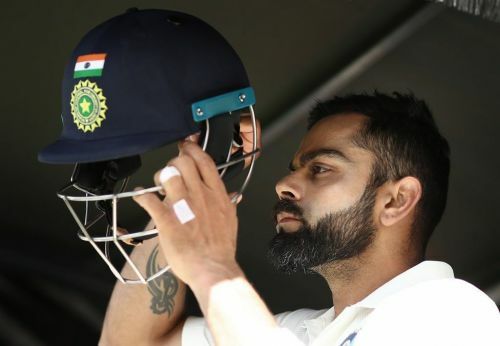 Kohli eventually returned to the hut after a controversial decision taken against him, on-field and third umpires deciding that the catch taken by Handscomb at slips was clean although the ball appeared to kiss the ground before the fielder wrapped his palms around it. With Kohli (123 off 257, 13*4, 1*6) no longer around, India fumbled and eventually fell earlier than expected. The innings proved that Virat Kohli continues to hold the key to India's survival and possible triumph in the series - a lesson that Aussie bowlers definitely took from today's game.